This book is now out of print, the second edition is due to be published in 2018. If you would like to be notified when the book is republished, please email us. You can still purchase this for Amazon Kindle. In the meantime, you might be interested in our Life after CCT - GP Survival Guide course which is running in Birmingham and London. For further details, please click here. 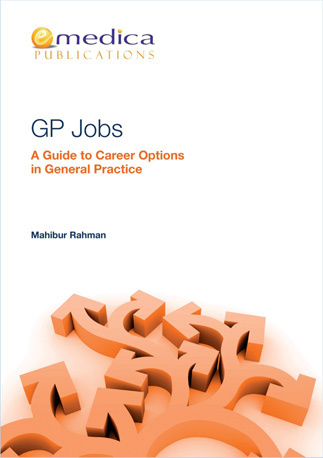 This careers guide is aimed at doctors that are about to finish GP training as well as GPs that have qualified in the last 5 years. GP Career Options Post CCT - salaried, locum, partnership, working overseas, working Out of Hours, humanitarian work, working on a cruise ship, working for the MOD and working as a GP overseas (Australia, NZ, Canada, Middle East). 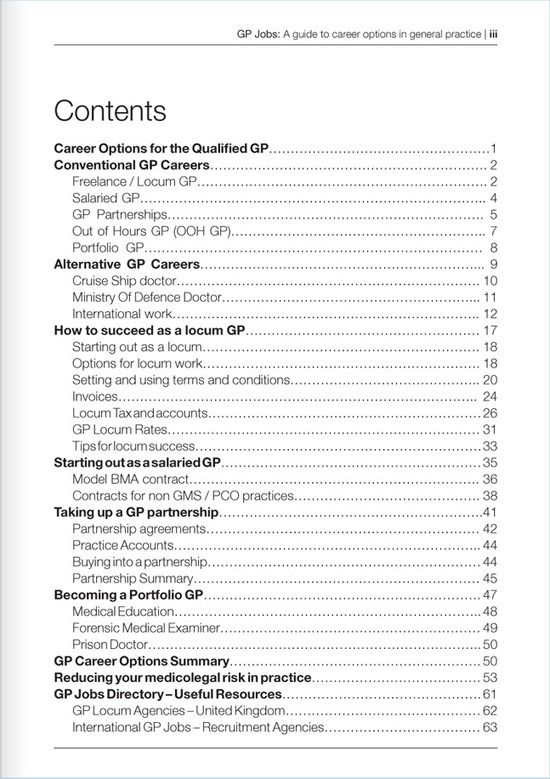 How to succeed as a locum GP - becoming self employed, getting work, how to set fees and Terms and Conditions, invoicing, and tax and expenses advice. Becoming a salaried GP - what you need to know - the BMA model contract, job plan, CPD, leave entitlements, working for GMS, PMS, APMS surgeries, payscales. Taking up a GP Partnership - Partnership agreements - what are they and why do you need one? Parity, setting partnership terms, buying in to a partnership. The Portfolio GP - what is a portfolio GP? includes some popular job choices within a portfolio, including becoming a GP Trainer, Forensic Medical Examiner and Prison Doctor.